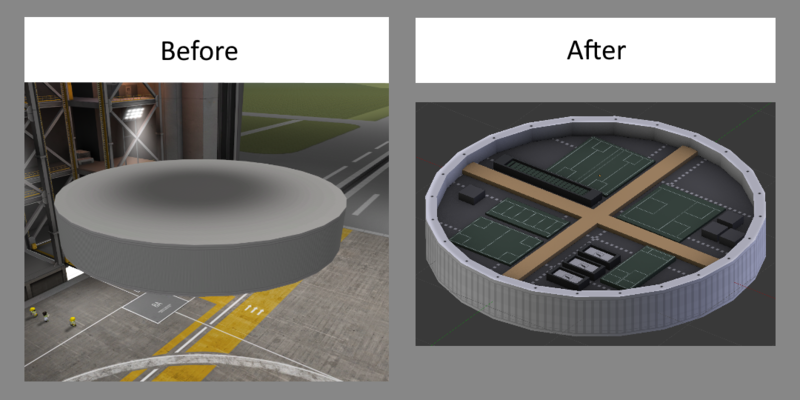 Please note that most of the parts shown here are being revamped and do not actually represent what will be in the release. 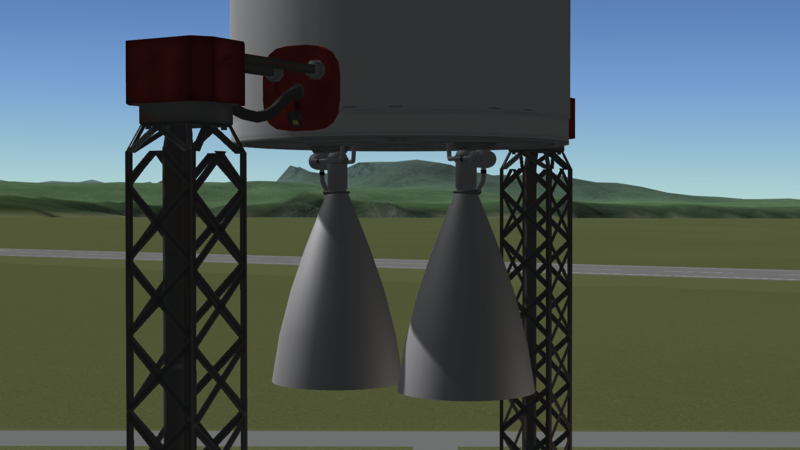 This mod aims to add the mighty New Glenn (and later New Shepard) rocket into Kerbal Space Program! I will be going off of the 2018 design of New Glenn. See the updated animation here. I'm not yet done and hope to share my progress as I go. Want to play with these parts? Find the Dev version on GitHub! Check out the roadmap below to see my progress and future plans for the mod. If you have any suggestions for parts that I should include I would love to hear it! This mod is licensed under a Creative Commons Attribution-NonCommercial-ShareAlike 4.0 International License. Thanks for your contribution to the community! Looking forward to seeing it when it comes out. ^ However, the Add-on Releases forum is for released mods-- what you describe here is a mod that's still under development. Which is precisely what the "Add-on Development" forum is for, so we're moving the thread over there. When your mod is ready for release, feel free to open a release thread for it under "Add-on Releases"-- or, if you prefer, just ask us to move this thread back over there when the time comes, and we're happy to do it for you. (Easiest way to ask us is to just report your own thread, with an explanatory note about what you need.) Thanks! However, the Add-on Releases forum is for released mods-- what you describe here is a mod that's still under development. Which is precisely what the "Add-on Development" forum is for, so we're moving the thread over there. Ah okay, thank you for that! Are yours different to this one? Yes, I'm going off of the 2018 design. You can find my references here. First Stage Tank is in game! Texture is a bit rough, but it's a start. 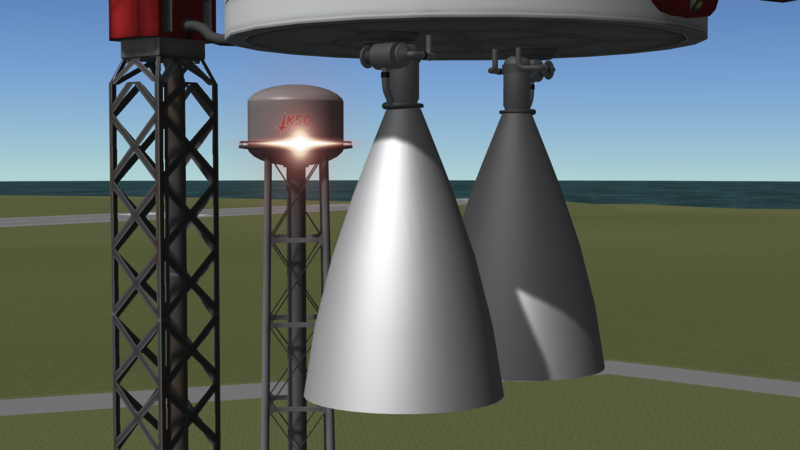 The first and second stage tanks are finished, in game, and have been quickly balanced to the stock parts. I’m hoping to get the fairing, fairing base, and BE-4 engine done tonight. Will add pictures when complete! So I have the BE-4 Engine in game. I decided to do a real quick texture, so the engine's not going to look necessarily amazing, but it is functional. I'll probably do a much more detailed texture (and model) after the initial release. BE-3u Engine is in game and... working? For some reason the plume is upside-down and I have no clue how to fix it. First stage Engine Shroud is done! Finished up the Strakes, they seem to work okay, hopefully they stay that way. I'm also going to be making some of my textures more high res, which will take away from time making new parts unfortunately. As you can see the first stage tank looks pretty bad so I'll be spending some time changing that. Good job, I look forward to your mod, but I have a question about be-4's technical parameter like Isp or mass,which will you do? @a605019098 Thanks, I'm glad you like it! I'm not quite sure I understand your question though. Are you asking about what the Thrust, Mass, ISP, etc. will be for the BE-4's? If so then I can't really give you an answer since I haven't balanced the parts yet. I am so sorry to I couldn't express my question nicely.But you understand what I want to ask(bad Google translator). I saw you haven't balanced the parts.I hope BE-4 is BE-4 instead of KE-4,(like RS-25 and KS-25). Beautiful mod, I'm waiting for New Shepard!!! 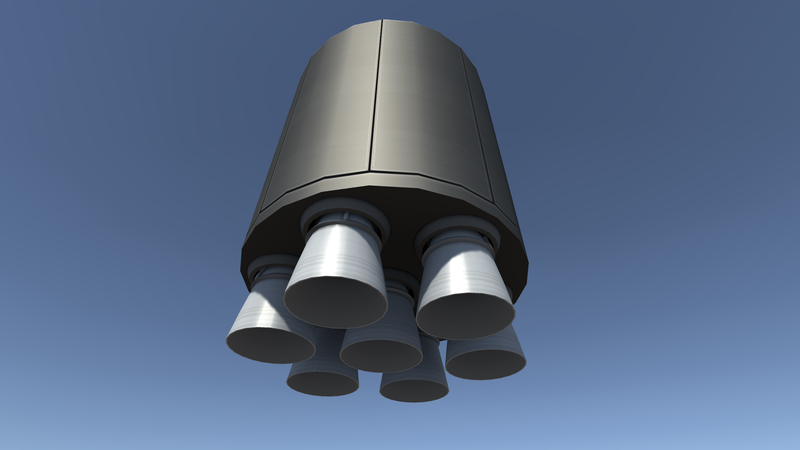 I will probably go for a more 'Kerbalised' name for the parts honestly, so maybe expect something similar to "KE_4". Also welcome to the forums! I'm glad you like it! However New Shepard is probably going to be a while, so you may be waiting for a bit. Oh, okay! go ahead and make this beautiful New Glenn, but do not forget the New Shepard! 1. So I haven't exactly had too much time to work on the mod lately. School is really starting to pick up so I really only have a good amount of time to mod on the weekends. This will likely last until June. 2. I'm not quite happy with the parts that I have done tbh, and I've decided that I'm going to be switching over to having all of the parts be stockalike. Basically this means I'm gonna be re-doing all of the parts' models and textures. 3. All of this will no doubt push the initial release into February, maybe even March. I want to put out the best work that I can, so please be patient with me. Update: Third time's the charm! So here's my new stockalike Stage 1 fuel tank. I plan on eventually using the stock texture switch to allow you to choose whether or not you want the decals. Not sure if that will be in the initial release or not. I should also be able to also get most of the Stage 2 fuel tank done tonight, and I'll try to finish it up tomorrow. I will probably also use the stock texture switch for the Stage 2 tank, so you can choose whether or not to have the feather. So I've made a little bit of progress over the past couple of days. I've started re-modelling a few parts and have finished the revamp for the stage two tank. Stage two probe core re-work is complete! Personally I think it looks way better than the original, so I hope you guys like it. Okay so unfortunately my computer is not functioning in any way right now. This of course will completely stall all development for this mod. I’m almost positive that I will lose all of the parts for the mod and will therefore have to start over. However, I do not currently plan on abandoning this mod, I would like to keep it going if I can. If I can either fix my current computer or get a new one I will immediately resume progress on this mod. Edit: It has been fixed and I can confirm all of the parts have been lost. @DylanSemrau, I think you should save dev work, and leave the landing gear for New Glenn, as it is included in KRE. I actually thought about doing that, but it would require some changes. The 2018 design is almost completely different to the one seen in KRE so I might as well just do it myself. The landing legs for New Shepard might be a different story, but I don’t really like having dependencies so we’ll see about that. So I am back and my computer is fixed, but I lost all of my user data (yes, including the mod). I decided to take some time to learn as much new stuff as I can before actually trying my shot at a mod, thus the lack of progress recently. I have learned a bit though and I'm ready to get going again! Expect to see some stuff over the next couple of weeks!